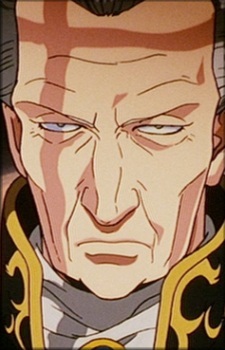 Duke Klaus von Lichtenlade was Premier of the Galactic Empire under Friedrich IV and, briefly, Erwin Josef II. As a palace courtier, Lichtenlade lacked influence and power outside the palace unlike the Kaiser's maternal relatives such as Duke Otho von Braunschweig or Marquis Wilhelm von Littenheim and had thus decided to back Reinhard von Lohengramm in the wake of the passing of Kaiser Friedrich IV to shore up his own power. This alliance with Reinhard von Lohengramm proved to be short-lived.